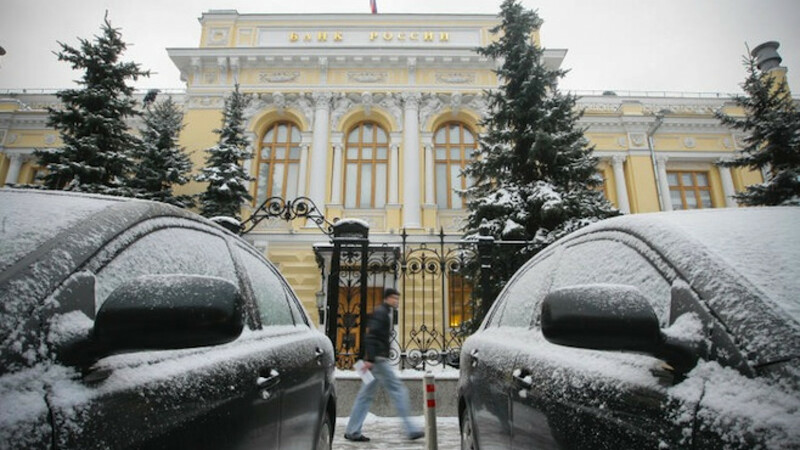 Two snow-covered cars are seen in front of the Central Bank headquarters in Moscow. The ruble rate will most likely fluctuate in the coming months but it should be largely stable if there are no big changes in oil prices or sanctions against Russia, a senior official at the Central Bank wrote Monday. Ksenia Yudayeva, a first deputy governor, wrote in an opinion piece in business daily Vedomosti that the ruble had been adjusting to new conditions. "As a whole, in my opinion, the ruble has entered a process of stabilization around new levels that take into account higher … [than expected] oil prices and a lower premium for geopolitical risks and risks of limiting capital flows," she wrote. "In the absence of significant changes [… to oil prices, imposing new sanctions or lifting existing ones, unexpected changes to monetary policy in other countries], the rate in the medium term will be relatively stable." On Friday, the ruble closed at 51.88 rubles per dollar — stronger than an all-time low of 80 rubles per dollar it briefly touched in mid-December. But the currency has seen two Fridays in a row of significant falls following solid mid-week gains. On Friday, it fell 5 percent on the day. "It could be said that, most likely, this is connected to the fact that a group of investors closes its ruble positions ahead of the weekend," Yudayeva wrote.